@GuardianAngel wrote: He's a winner in my books. I had a quick look at his IG which is private, and noticed he follows Rod Stewart Fans. I'm so tired of the FIR pattern so I'm hoping he's not the F1. Can we change it up please? The Bachelorette seasons are so predictable now. @GuardianAngel wrote: Sorry for the double post. @just me You are correct. Nice catch! He has a sister in law named Hannah. Go to the link for the full story. Updated: March 15, 2019, 11:59 a.m. The show, which will premiere May 13 on ABC, is set to start filming this week, so Luke, a Gainesville resident, has already been sworn to secrecy and had his phone and all other forms of communication confiscated upon arriving in Los Angeles to record the show. 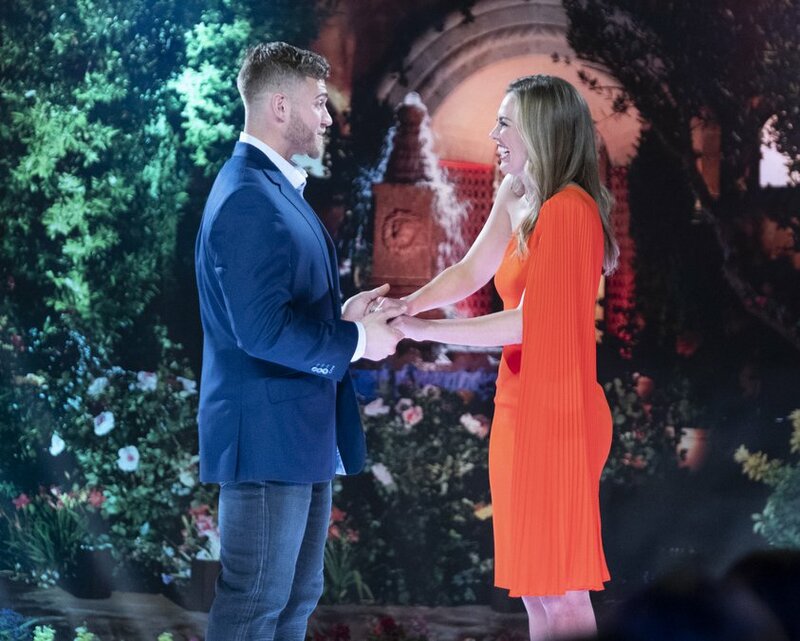 Hannah Brown, an Alabama native, is this season’s bachelorette, who was also on the just-concluded season of “The Bachelor.” When she was announced as the new bachelorette on the March 12 finale of “The Bachelor,” Luke and four other men who will be on the upcoming season met her for their first time on live TV. Luke, originally from Ponte Vedra Beach, Florida, grew up playing baseball. He played at Polk State College in Winter Haven, Florida, then at High Point University in North Carolina and finally at Faulkner University in Alabama, where he ended up graduating. He works for the family business, Parker Warehouse, an import and export company that has been around for 45 years, but he’ll be listed as an entrepreneur on the show. There’s not much of a first-hand account as to how everything up to this point happened for Luke, but it’s safe to say he never saw it coming. She filled out the application without her brother-in-law knowing and decided to let the chips fall where they may. A few months later, Luke got a call from some people with “The Bachelorette” and things started to fall into place. As Mike and Hannah did some digging online, they had a good feeling Brown would be the next bachelorette. But they still didn’t know for certain until it was announced March 12. Wow! Great article. Thank you for sharing. Really excited about this possible match going to the last rose. I especially noted this statement in the article, "Brown and Luke actually went to the same church — albeit different campuses — when they were in college in Alabama" They never met until now- could turn into a real love story. @bluwavz wrote: I'm so tired of the FIR pattern so I'm hoping he's not the F1. Can we change it up please? The Bachelorette seasons are so predictable now. Sigh. So boring. Hopefully he surprises me because she clearly likes him. She may like him but that does not mean he will go the distance. @nd4reality wrote: She may like him but that does not mean he will go the distance. True but FIR always equaling F1 in recent years has really jaded me. Especially when I never like the choice (Bryan A being the exception). I guess the prior female leads were instantly attracted and the rest of the season only served to validated their feelings. ETA as I said upthread, she would have had familiarity with the guys she already met so I’m not surprised it was one of them that got the FIR. Technically she gave two FIR, Luke and Cam, so I don’t think it’s that predictable. IMO. @sdmom wrote: Technically she gave two FIR, Luke and Cam, so I don’t think it’s that predictable. IMO.